Finally managed to upgrade our (Menalto) Galleries, using the ‘Carbon’ theme. 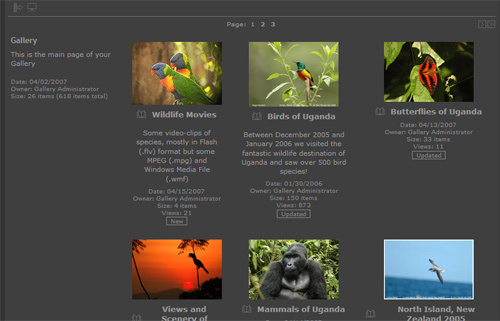 Not only is it possible to view still-images but you can also open movie-clips in a gallery. Go to the Gallery now! 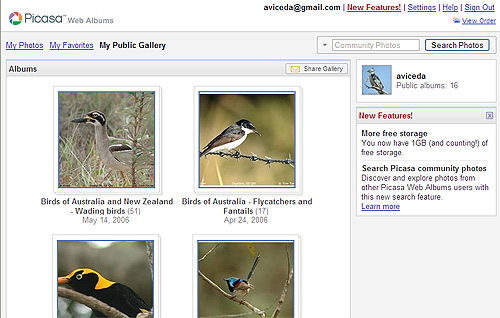 I’ve also uploaded a large number of Australian and New Zealand images to our Picasa Galleries.